Anna Laura Reeve prepares for the first planting session of the season at Care of the Earth Community Farm March 15, 2018. The farm grows 62 different varieties of vegetables for their CSA (community supported agriculture) members every year. Each member gets a box a week for a full share or every other week for a half share. A pepper plant during spring planting May 10, 2018. Co-owner Lalo Lazaro washes arugula Oct. 10, 2017. Anna Laura Reeve tosses black bean shells into the compost pile after stomping on them to remove the beans at Care of the Earth Community Farm Sept. 7, 2017. 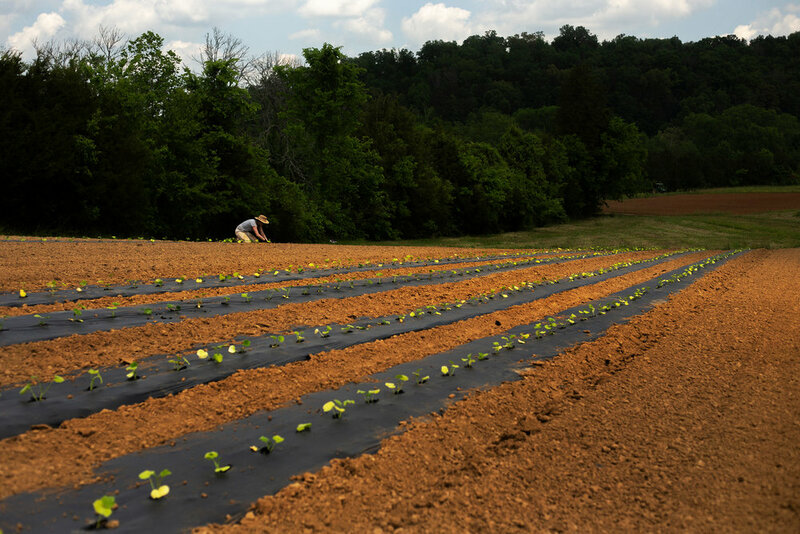 The farm is a family owned, organic vegetable farm with 30 acres and 95 CSA (Community Supported Agriculture) members. Spring radishes floating, waiting to be washed May 17, 2018. Anna Laura Reeve plants a field of several winter squash varieties; San Jose x Waltham, Thai Kang Kob, Ayote, Chinese Tropical, Virginia Select butternut, Tahitian, Greek Sweet Red. 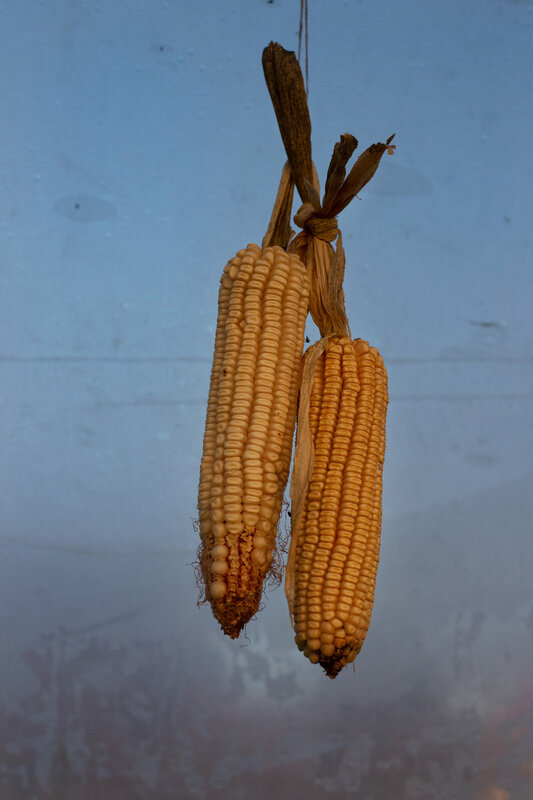 One of their goals at Care of the Earth is to find varieties that will be able to survive hot, dry climates as our planet’s temperatures rise due to global warming. 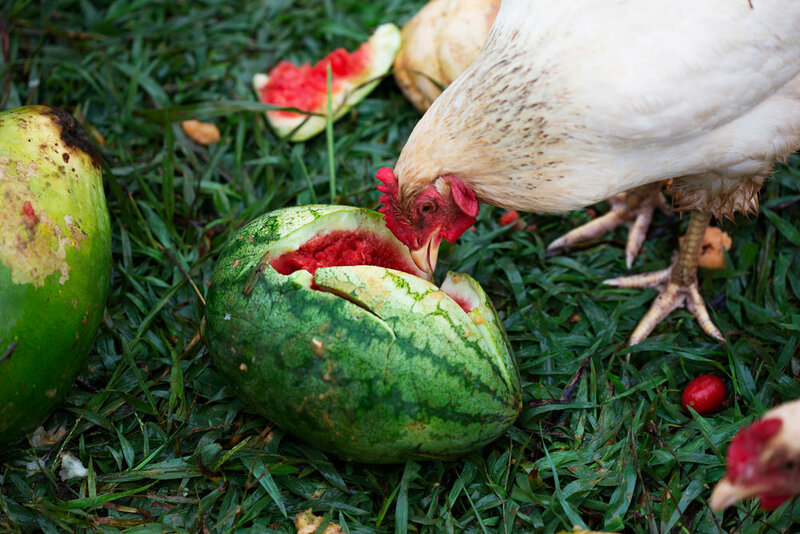 A chicken snacks on an old watermelon Aug. 2, 2018. It is important to Megan and Lalo that their farm be an ecosystem that helps sustain itself. 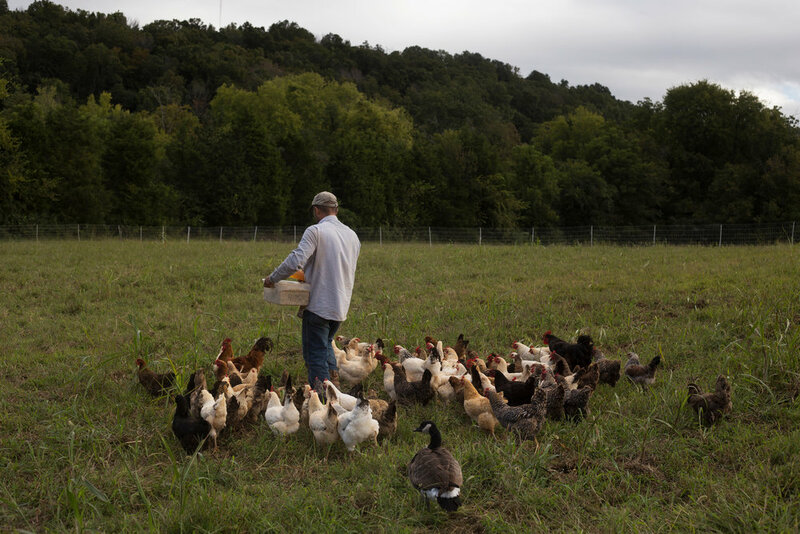 They grow the vegetables and fruits in the dirt that is fertilized by the chickens, who then get to enjoy the benefits of the land that they help to sustain.